I love things that are crusty. No, not THAT kind of crusty. 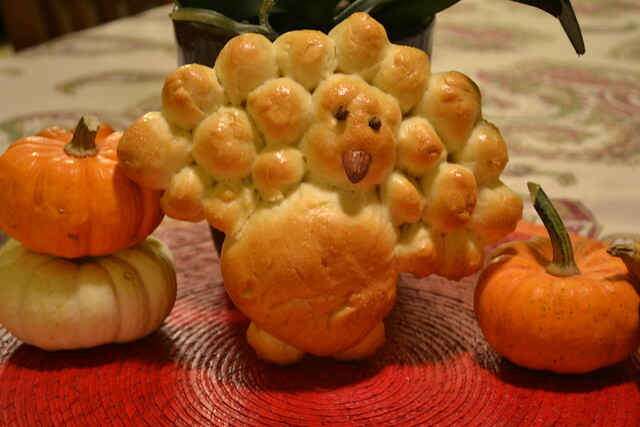 The good kind, the bread kind. 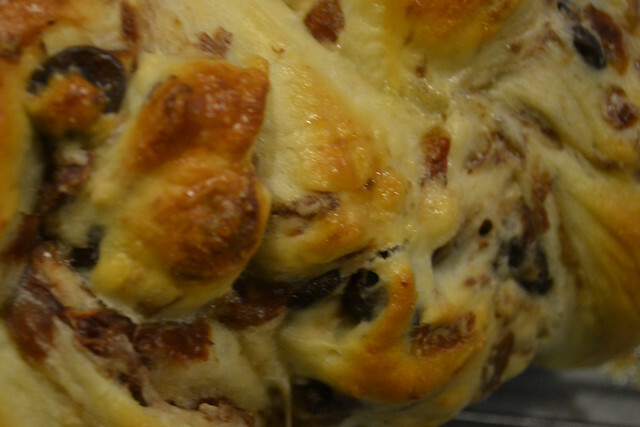 Where the dough is soft and lovely on the inside but has a nice brown color and just a bit of crumb to it. 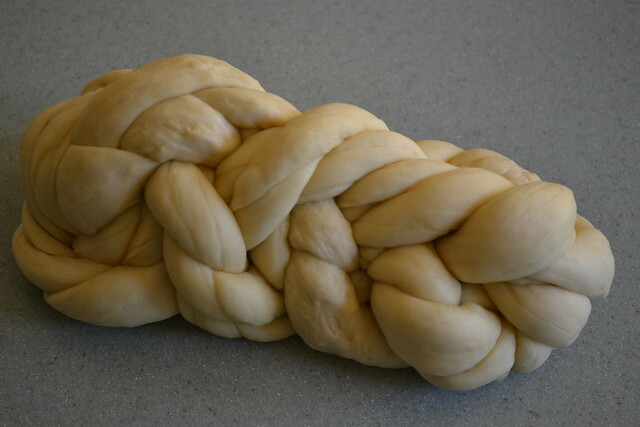 With challah, that's a tough animal. 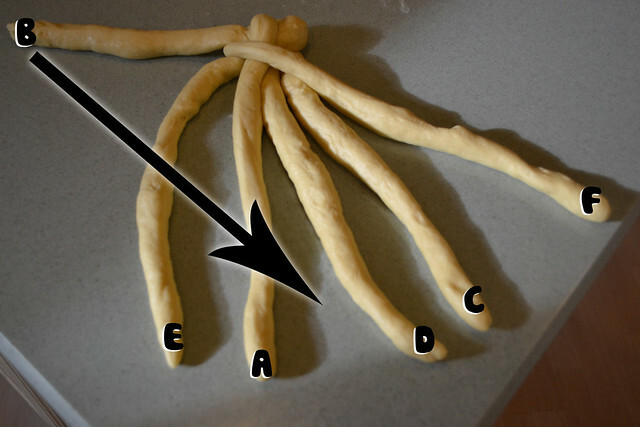 The eggs and the oil make our breads dense and sweaty. 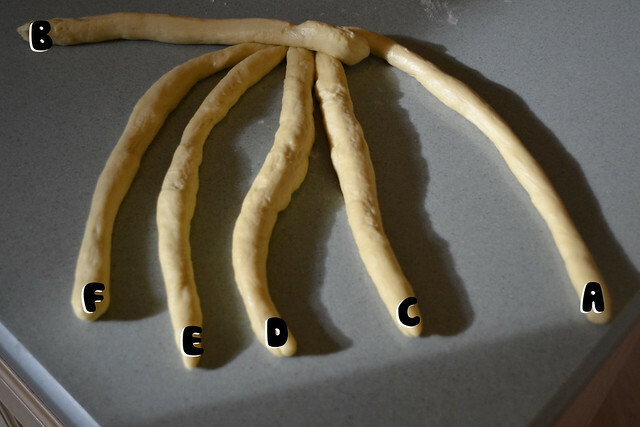 Combined with the (required, in my opinion) drizzle after egg-washing. Well, here's a little trick I found out completely accidentally that I've done for the past three weeks since. 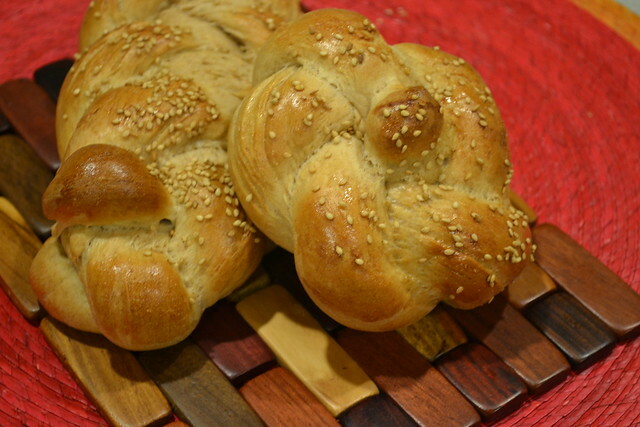 For a slightly crustier challah, set your oven to 375. 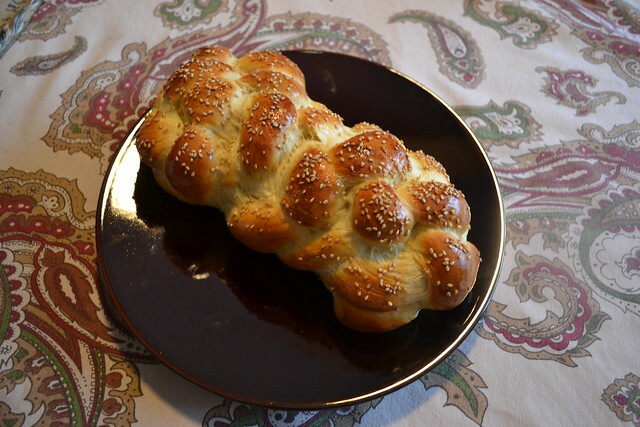 Put challah in for 5 minutes then turn down to the usual 350. 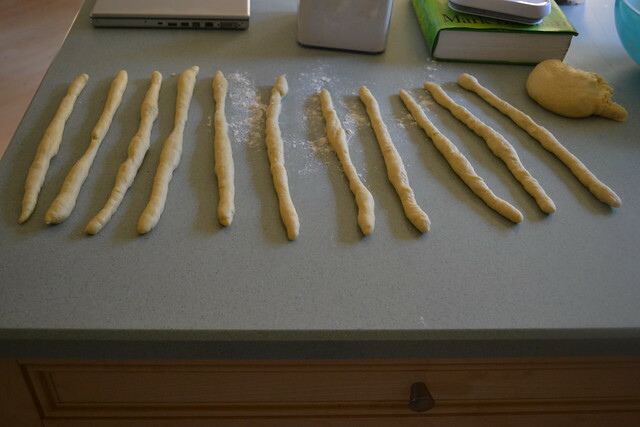 (I know some people bake their challah higher, so just try 15 or so to start). 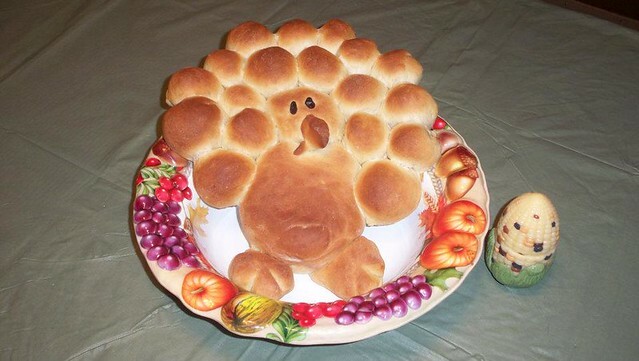 Bake 10 minutes and then turn the loaf pan 180 degrees in the oven. 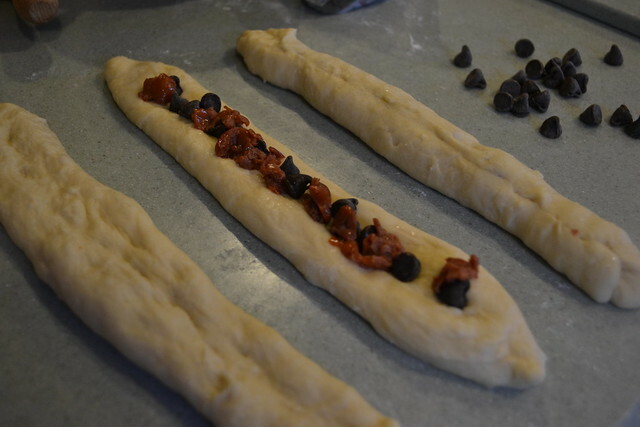 Bake an additional 10-15 minutes depending on what you need. 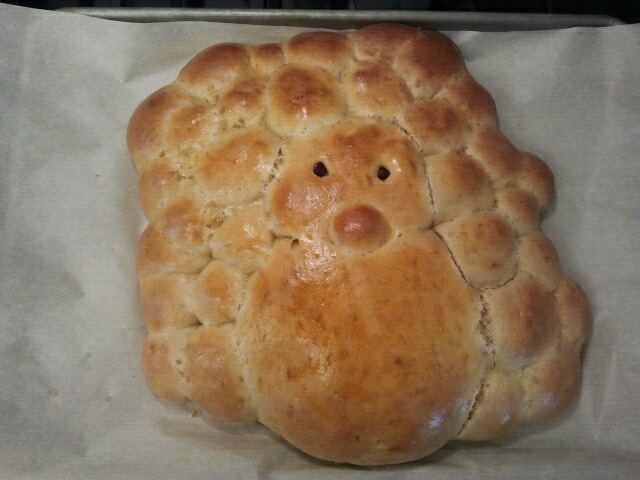 I did this one Friday afternoon after successive baking of a casserole. Basically, I forgot to turn the oven down. 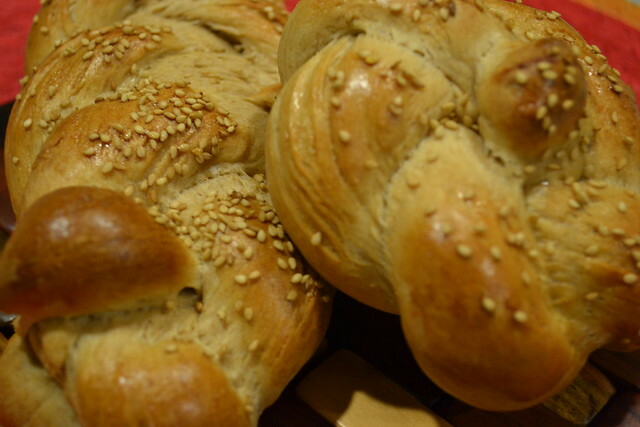 But, the Hazz (and his brother who was in town visiting) declared the loaf to be THE BEST YET. What tricks have YOU discovered accidentally? A friend sent me this AWESOME link. I just HAD to make it :) It's very easy. Just start with the body and head. Add some little feet with some scores with a sharp nice. Then just add balls all around fanning out. 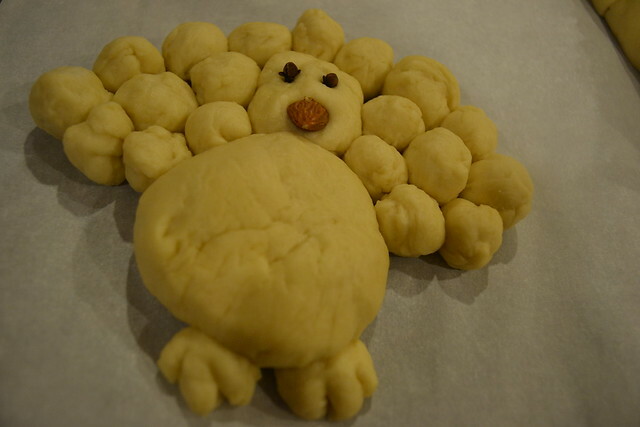 Friends, Pinterest is a dangerous, dangerous thing. I can spend hours just looking at delicious, darling, hipster, beautiful, amazing recipes, fashion, and home ideas. But I looooove Pinterest. 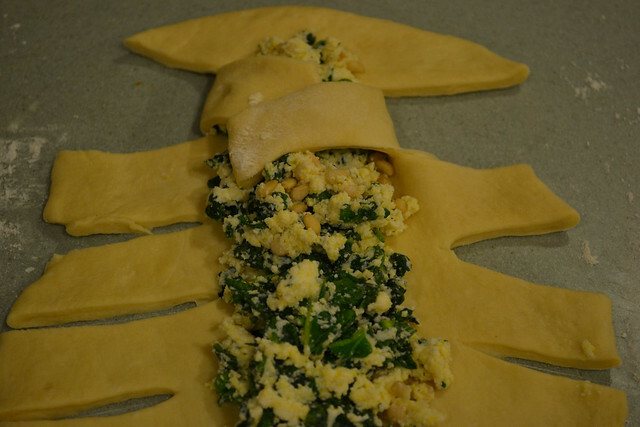 I pinned this recipe quite some time ago and have been anxious to try it. 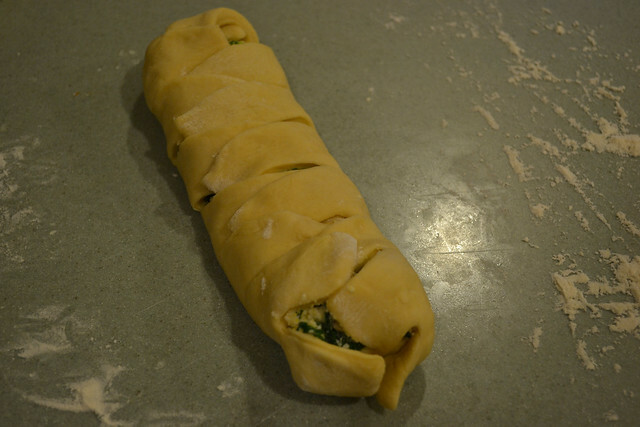 It's a Spinach and Ricotta Stuffed Challah from the LA Times. 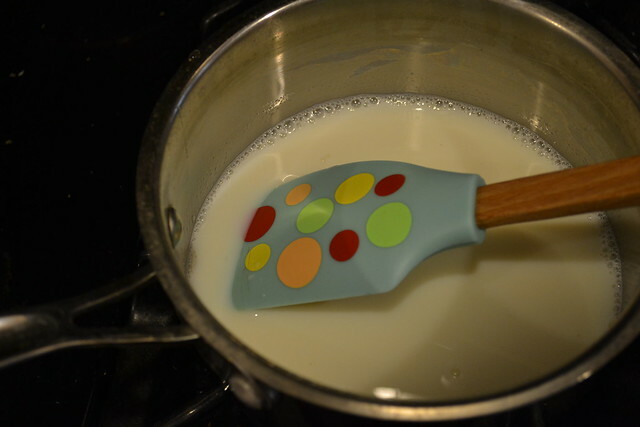 However, since I was trying it, and I didn't have a ton of ricotta, I halved the recipe. 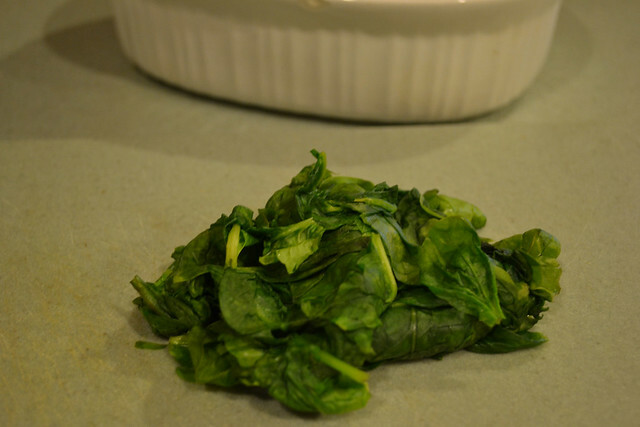 Then, well into the process, I realized I didn't have any basil. Enter improvisation. Here are my modifications on the original. 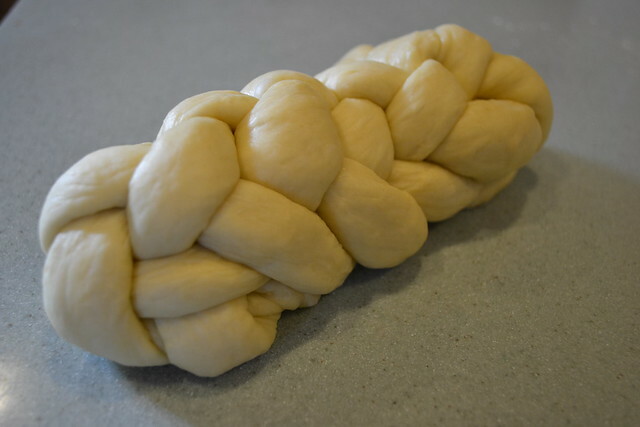 While this recipe gives a challah dough recipe, I really think that you can use whatever you want. 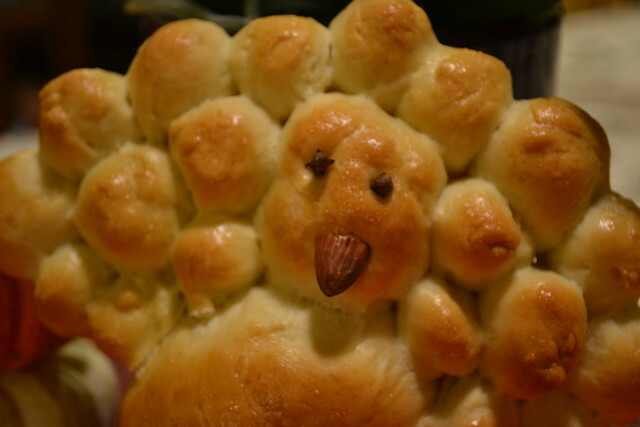 I just used my own recipe (with fresh yeast because I love it so much). So, here's the deal. 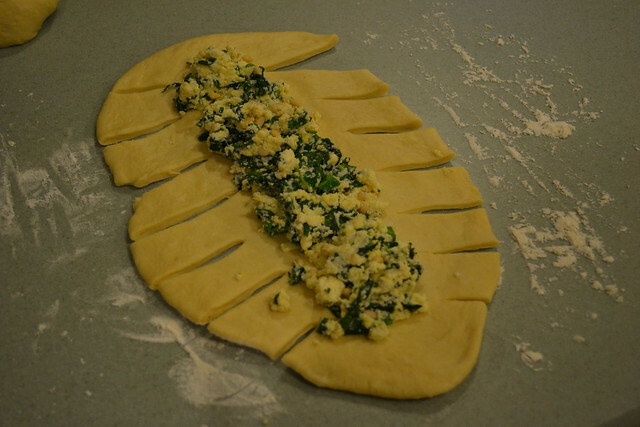 There should also be about 1/4 cup fresh basil, chopped to truly be the original recipe's ricotta/pesto blend. I sprinkled a little dried basil but a REALLY little bit and that flavor didn't come through. 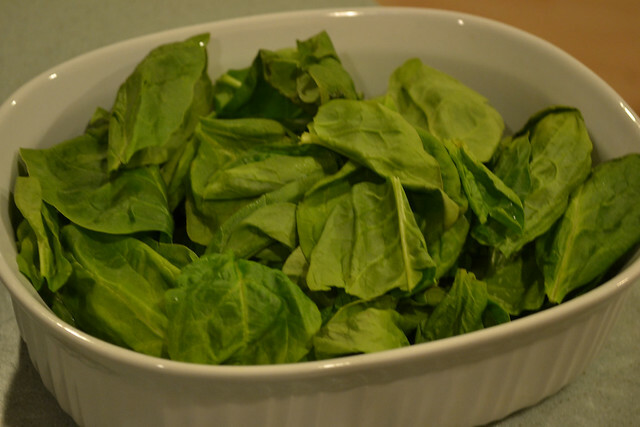 For the spinach, I just put all the leaves in a microwave safe bowl with a bit of water and let them go on high for about 1 minute, checking periodically after 45 seconds. After they were cool enough to handle, I squeeze the water out and chopped. 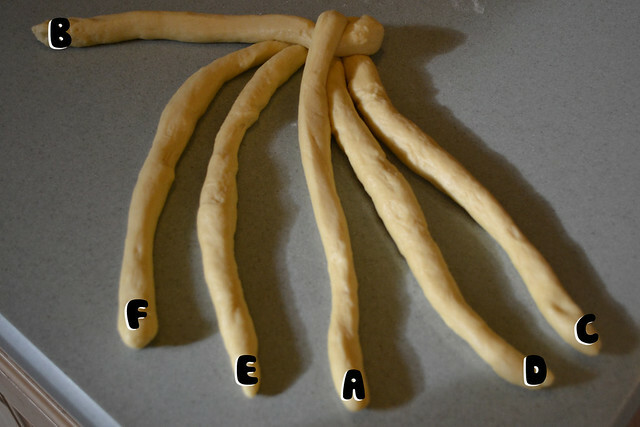 The linked recipe doesn't show you how to do the filled braid, but I've seen tutorials elsewhere. Here's how I did it. Make sure to tuck in those ends! 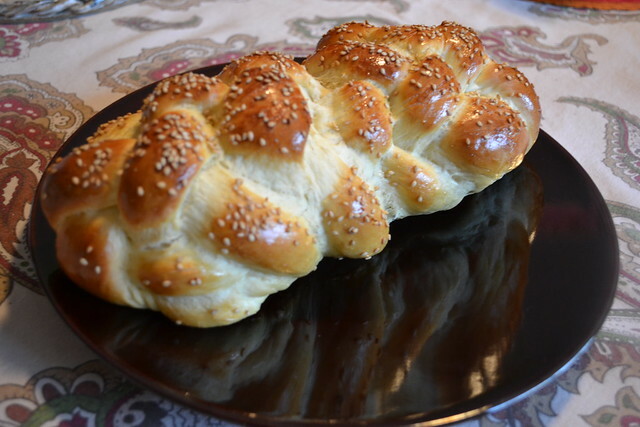 You could also do a filled challah, which is one of our favorite methods. The Verdict: It's okay. 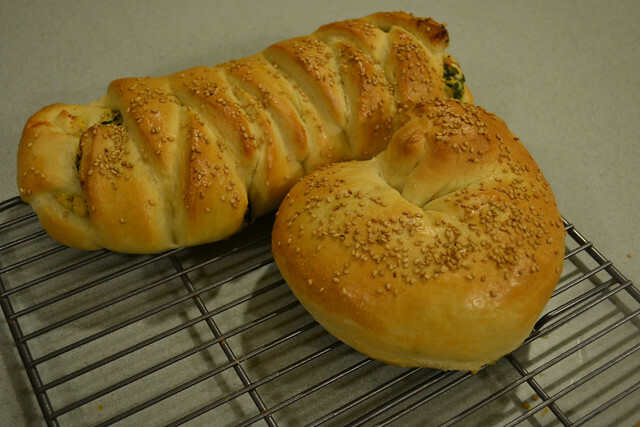 I made this is as a Tuesday experiment, and we decided that on Thursday it tasted it's best. The flavors had kind of mellowed out. But, really, it's just okay. The ricotta is salty so the whole thing is a bit aggressive. 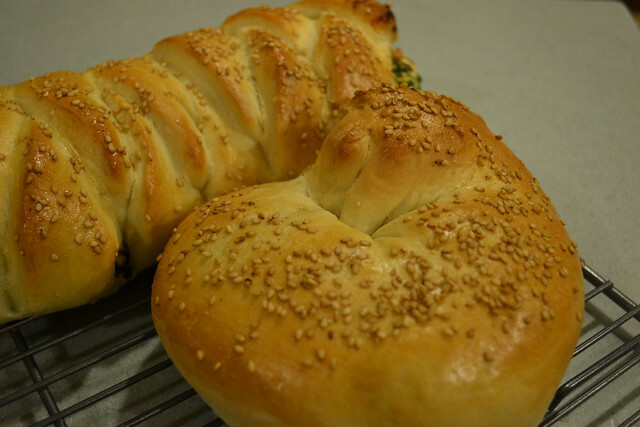 I think I prefer mozzarella or parmesan in my challah if I'm doing a savory, cheese-y loaf. 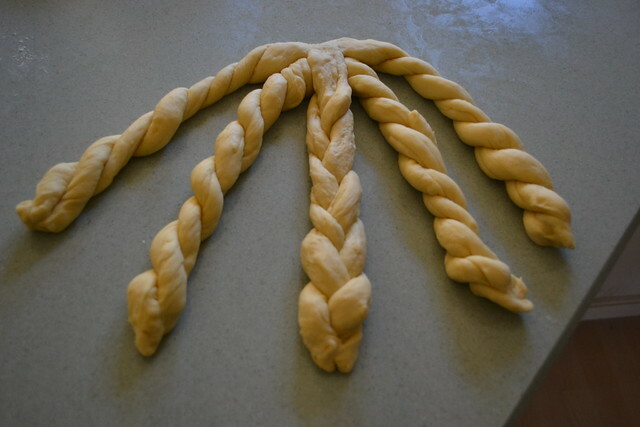 That said, it was a fun experiment, and I do like the "braiding" technique. Wiki goes on to talk about booze in the cake. Kirschwasser, rum, etc. 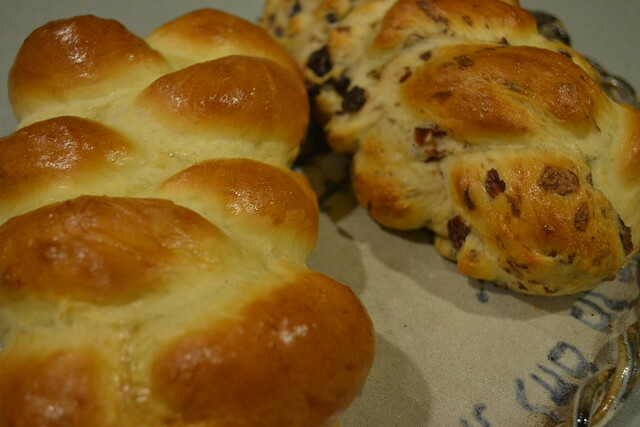 I think booze has a place in challah. I just haven't figure it all out yet. Perhaps another day! 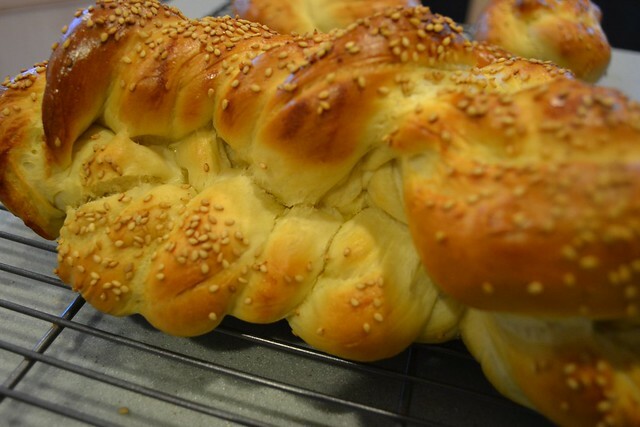 Also, we haven't quite figured out how to whip-cream-ize our challah. 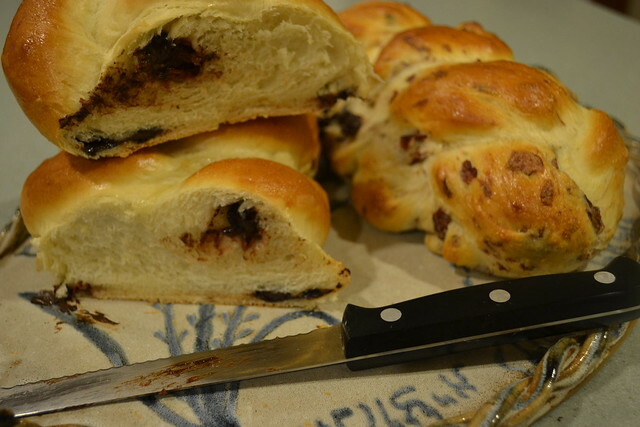 So... for this challah, I stuck with just chocolate and cherries. The first challenge in this baby... CHERRIES! I am morally opposed grossed out terrified against things like high fructose corn syrup and Red Dye #40. Apparently high fructose corn syrup and Red Dye #40 are well, the thing that make Maraschino cherries, well Maraschino cherries. 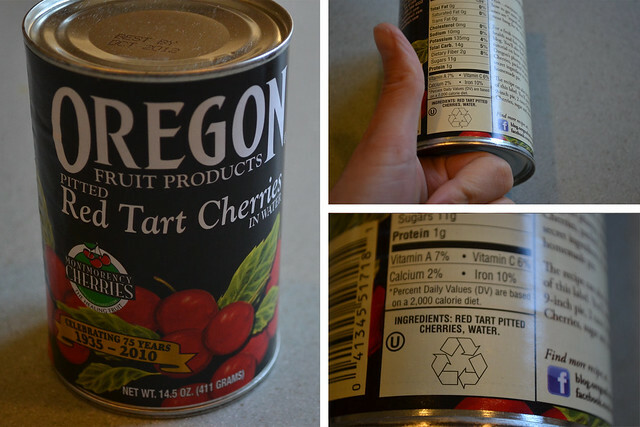 Since we've been on a real kick to get rid of all that kind of stuff in our lives, I went on search for dye-free, corn syrup free cherries. Apparently, they're very hard to find! Finally, SUCCESS! And, while they're not quite as RED as dyed cherries, they're red enough. Note, however, that these babies are SOUR. I taste them. They WERE sour. Here's where a little improvisation came in. First, I removed the cherries from their water. I saved the water, but ended up not using it. Next, I place about 1/2 the cherries on a paper towel-covered cutting board. 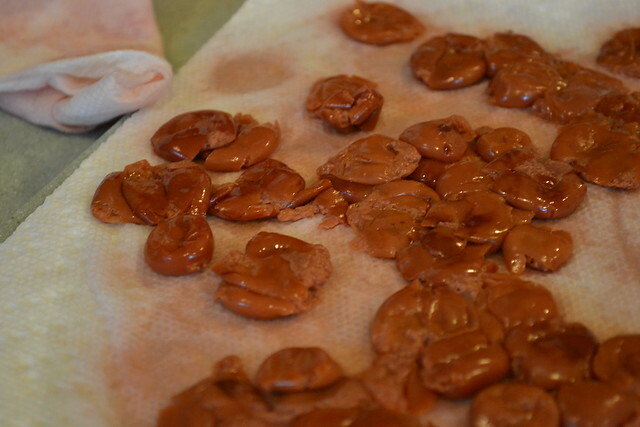 Then, I squashed them with a paper towel. Then, I squashed them again. And again. When they seemed pretty dry, I felt ready to proceed. 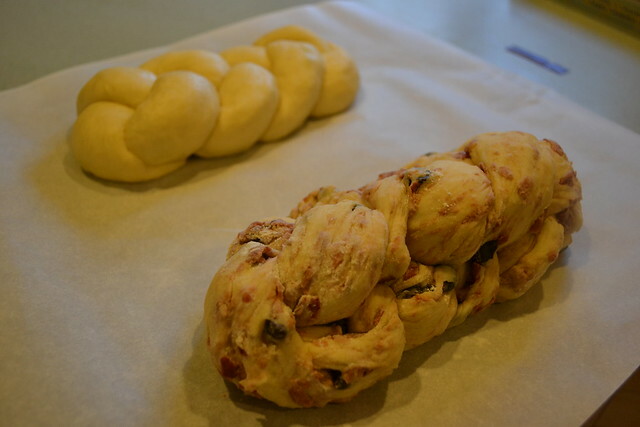 I figured there were two ways we could make this Black Forest Challah. The old Nutella-filled strand stand-by. 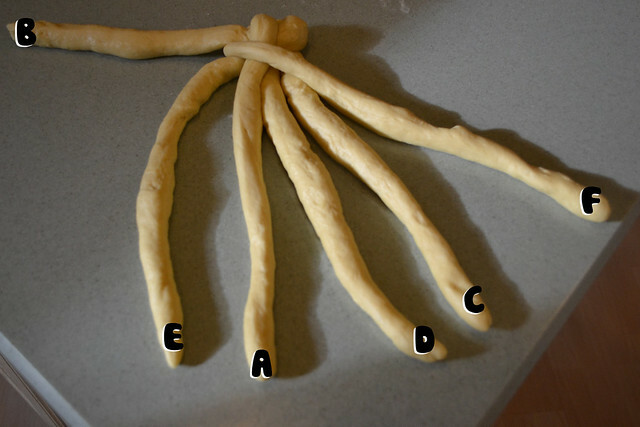 And, the knead-in method a la Apple Challah. Fully-Integrated Cherries and Chocolate... I learned my lesson on Rosh Hashanah with apples. 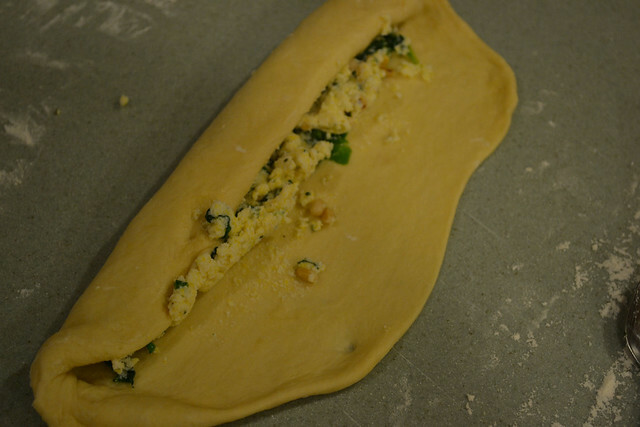 They add A LOT of liquid to the dough. 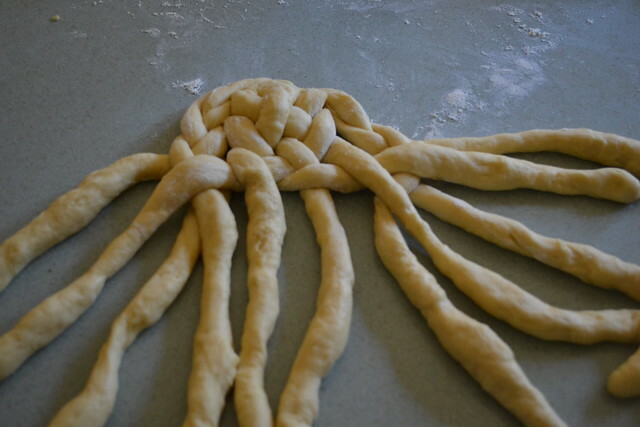 My dough itself was pretty droopy that day anyway for some reason. 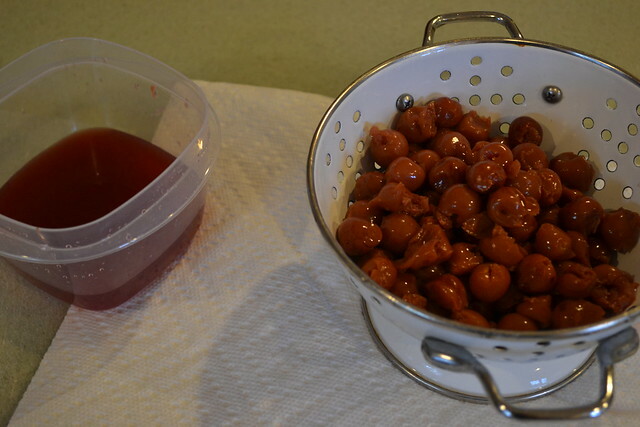 So, to counteract, I started by adding about 2 tbsp flour and 2 tbsp of sugar to the rest of the cherries. 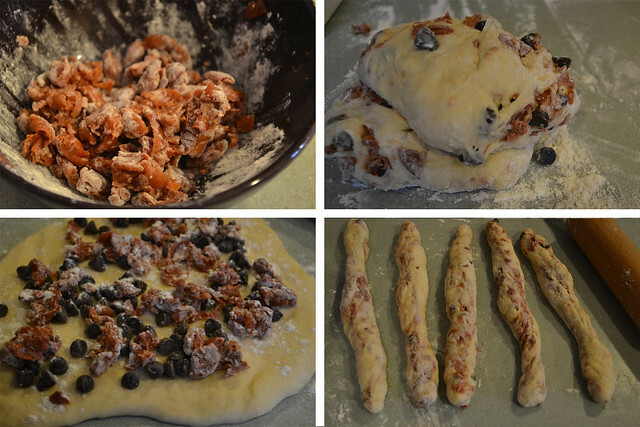 Then, I just mixed it all together and kneaded... adding LOTS of flour as needed. 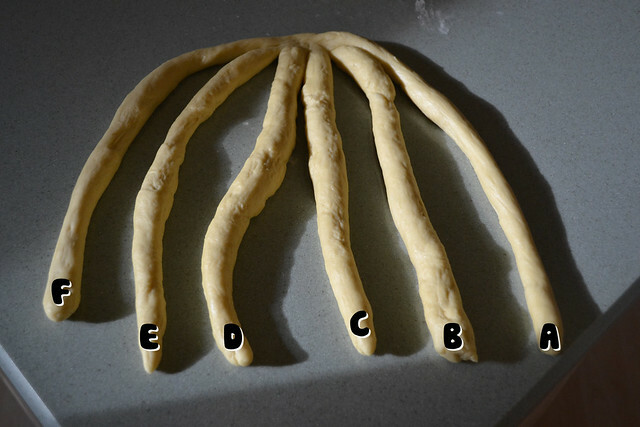 Bake and egg-wash as normal. I was so happy the result. Sweet, but not too sweet. Tart but not too tart. And the chocolate is heavenly. 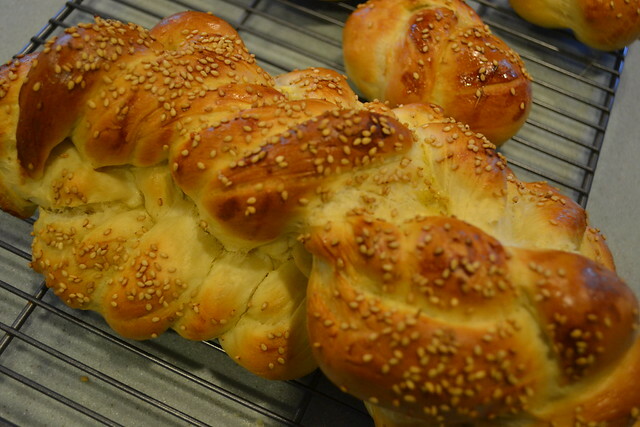 I was definitely much more happy with the integrated challah. The filled version is great and significantly easier to do, but the integrated version is really spectacular. 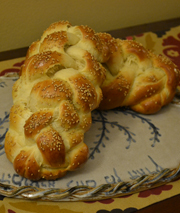 What ice cream flavors would YOU like to see in a challah?